Join the discussion on our forums! 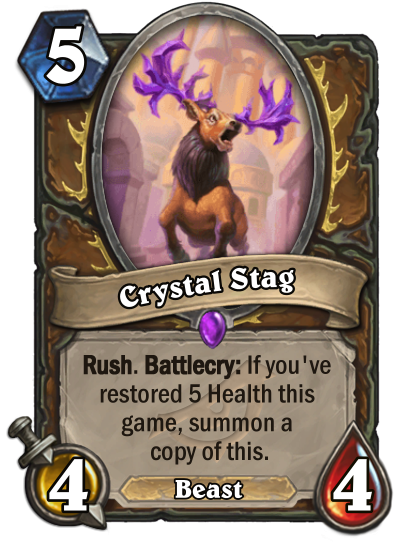 Come discuss Crystal Stag over in our dedicated Crystal Stag discussion topic. Ornery Tortoise on 3, turn 4 Crystal Power and then this? Hopefully heal Druid will work, because this card is awesome. There is something about the Purple antlers and the Epic, purple gem, that's so aesthetically pleasing. You are absotlutely right!!! Love it.